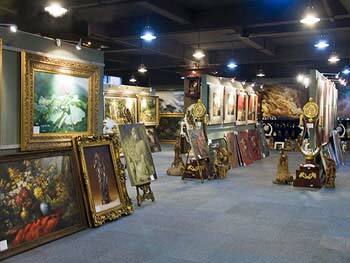 We located in famous Dafen oil painting village, Shenzhen, the premier oil painting reproducing center in China. All of our products are genuine hand-painted oil paintings on canvas,We provide oil paintings online for sale. We offer oil painting reproduction masterpieces of all categories, including Abstract oil paintings, Impressionism oil paintings, Still life oil paintings, Landscape oil paintings, Animal, Mediterranean Sea, Flower, Cottages Oil Painting, etc. Our painters are all talented artists with Bachelor degrees, museum quality is guaranteed. All of our oil paintings are hand painted with its special meaning. We are one of the earliest leading oil painting service companies in the world. Oil paintings are our soul and life. We offer the lowest prices for our masterpieces oil painting reproduction on the planet. Our mission is to provide the best valuable paintings and service for wholesale distributors, hotels, galleries, restaurants, interior designers, and consumers as well. We know that some customers also have large demand on stock paintings. To meet this requirement, we also prepare /collect stock paintings for them. If you can let us know what subjects/ size/ quantity/ price you are interested in, we can prepare stocks for your on-site selection at very short time. As we know, stock paintings are sold at lower price, it can help you save some cost. We provide only 100% hand-painted oil paintings on canvas that are rich with texture and full of life and color those only authentic oil painters can provide. Once again, we look forward to providing you with our best product and valuable service. We will appreciate the chance to serve you. If you have any test order, we would love to hear from you. We have the finest reproductions of famous oil paintings in the world made by our skilled artists, including many works of Famous Artists. Our artists also offer service for oil portrait and statuary. We can turn any photo into art, including oil paintings, watercolor, pastel painting, figurine, pencil sketch, color pencil, Charcoal drawings and so on. We are one of oil painting supplies in Dafen, China. We have our own oil paintings gallery, offering oil painting reproductions of famous artist painting including oil painters of America, oil painters of Europe, oil painters of Asia and oil painters of Australia,including oil painting masterpiece reproduction works by these world famous old masters: Claude Monet,Pierre Auguste Renoir,Gustav Klimt,Paul Gauguin,Edouard Manet etc. oil paintings wholesale of different styles, such as oil paintings of flowers, landscape painting,etc. We also provide oil paintings for sale online, oil paintings on canvas and oil painting from photos.